For the last few instalments of the series (possibly from number 3 onwards) we’ve been hearing a lot of “this one is darker” type of lines being bantered about, whether from the critics, the fans or even the film-makers themselves. But it’s never been more true than in this final chapter. 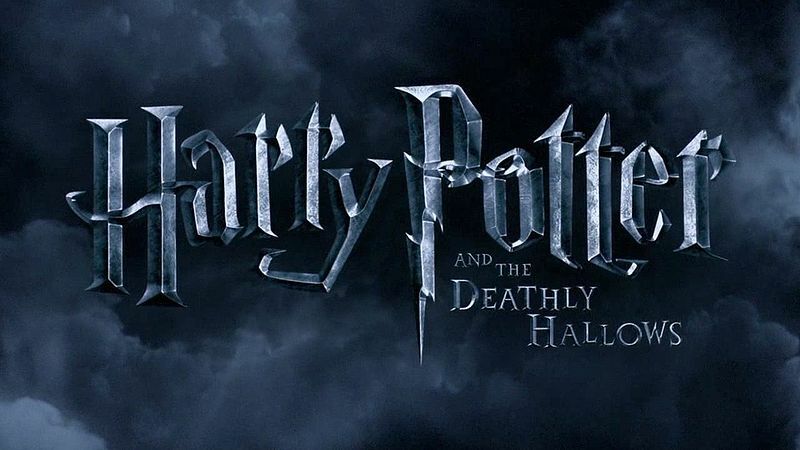 A few years ago, when we first heard about the fact that the seventh and final book was going to be divided into two films, we all cynically thought straight away: “They really want to squeeze every single penny out of this last one, those greedy people”. And I am sure that must have been one of the reasons, however director David Yates has been able to take advantage of this extra time to give the story a certain amount of depth, sophistication and gravitas that was missing from all the previous instalments. The pace is a lot slower, for a start. Of course, you get some cracking action scenes too (a particular good one through the Dartfor Tunnel), some great visuals, whether just the perfect vistas and landscapes, the inventive special effects (the scene, in the trailer too, where there are about 8 different Potters, is all done in one perfect 360 degree shot) and there’s even a beautiful short animation sequence (where “The Tale of the Three Brothers”, is shown as a shadow-play and that by itself should almost be nominated for an Oscar for BEST animated short), but the real core of the movie this time are actually the 3 main characters. Their dialogue scenes take centre stage and are played in the most realistic possible way, with long silences, pauses and meaningful looks. Even the music is a lot more subtle and understated, aside from being of course a lot darker. There’s a particular chase scene in a forest towards the second half of the movie, where unexpectedly, they decided not to play any music at all, just letting the sound effects play through: that is very very unusual for a blockbuster of this calibre. The film bravely takes a lot of risks, on one hand, by veering away from what kids are probably expecting, but at the same time it’ll give fans a real treat (and it might even change the minds of some of those Harry Potter haters)! It is a film about emotions, about characters, about friendship first and foremost and it all happens to take place in a magical world. It’s what every single avid Harry Potter reader has been waiting for years. In a way, the mood of the film is much closer to the Lord of the Rings trilogy, not just in the muted colors of the landscape, or in the grittier looks of the characters (even Harry Potter looks dirtier this time and has even got a bit of a beard! ), but in the way it’s paced and constructed. It’s essentially a road movie (it’s also the first film to be Hogward-free. We only get one quick glimpse of the train going to the school, but that’s about it). There are much fewer laughs throughout and most of them come from Ron (Rupert Grint), but somehow when they do come, they seem to work a lot better than they ever did. Maybe because the whole film is so tense that you are just craving for a moment to relax let the tension fade. And this is by no means a criticism, in fact, quite the opposite. The film starts with a perfectly pitched montage scene where we see all the various characters leaving their homes and getting ready to meet. The soundtrack at this point seems to be straight our of one of the Bourne movies, or the recent Batman films by Christopher Nolan. There’s an uneasy tension running all the way through, which just makes you very uncomfortable (and I mean that as a compliment). That feeling somehow permeates the rest of the movie too. We then cut to a scene where Voldemort, his Death Eaters & Co are all sitting around a table. Floating above them, the body of one of their young victim. 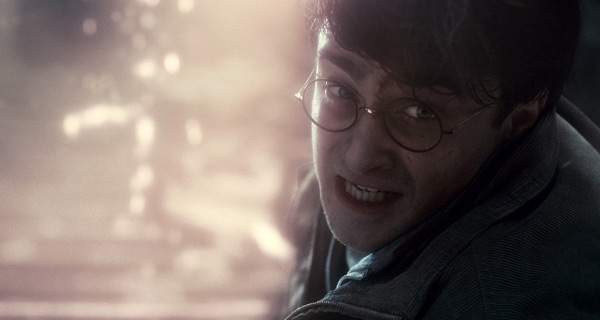 Blood dripping from her face, her head bent backwards… This feels almost like the exorcist more than Harry Potter! Don’t take me wrong. Kids will be terrified, but will most likely love it too (after all, kids love to get scared… Or at least I used to!). By all means, this isn’t a masterpiece. For all the tension, the great atmosphere and all the brave intentions, there are some slightly clunky moments here and there too. For example the scene where Ron comes back and rejoins the group, feels a bit “out of the blue” and could have been handled in a better way. Also some of the dialogue doesn’t quite ring true and too many characters come in and out like bell-boys in a hotel. But it’s interesting to notice how most of the stuff that doesn’t quite work in the film, has actually been lifted straight from the books. I think once again the film exposes the weaknesses of the book (which c’mon let’s face it, however gripping, it wasn’t really a great piece of writing. I loved it, in fact I loved the whole series, but I recognize its limits). The acting from the three main characters still feels a bit dodgy from time to time. They all really try their best: Emma Watson is the best she’s ever been (sadly that doesn’t really mean a lot) and though she even manages to shed a tear at some point, most of her lines fall pretty flat. Daniel Radcliffe does his usual thing where he seems to act with all his body, except his eyes (he seems to like to show tension by stretching his whole body forward) and finally Rupert Grint, who seems to have gained a bit too much weight, but he’s still the best of the three and also he has the best lines. However there’s a good chemistry between all of them. Clearly having worked together for so many films has created a bond between them: some of that shows in the film too. So on the whole, the film deserves a lot of respect for taking brave decisions which are probably going against your typical Hollywood blockbuster, let alone a Harry Potter movie. Mind you, it’s easier to be brave when you have something like this in your hands, this was always going to be a winner with the public! Now it might probably get some new fans from those picky critics out there. Anyway, it’s good to see them trying something different. It’s good to see them slowing down a bit and taking good care of their characters. It’s good to see them trying to be more mature and stir away from cheesy cliches. I can see why this is JK Rowling’s favorite movie. 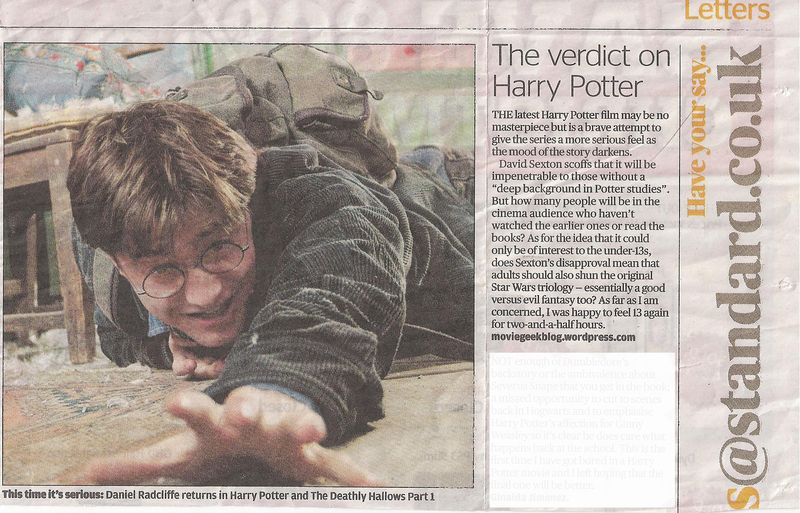 I was happy with it too… but then again, I love Harry Potter, so I am probably biased. PS. If you liked this review, leave us a message.